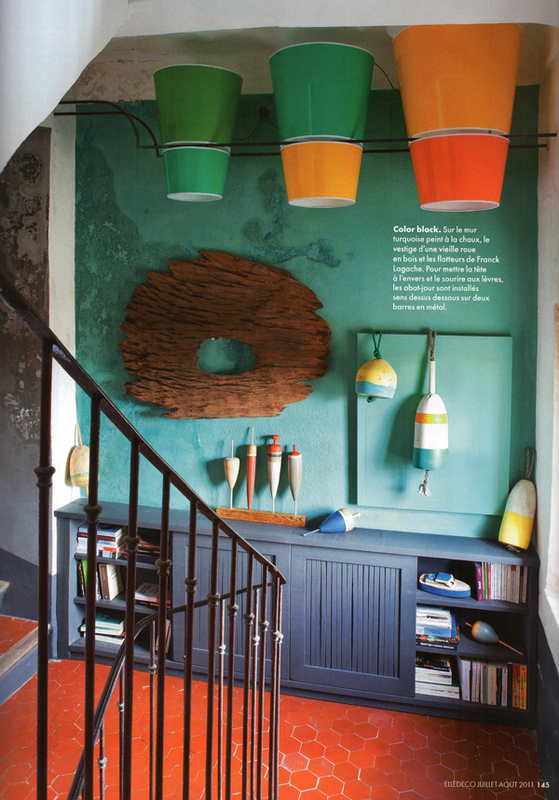 Browsing through my stack of holiday magazines I was very impressed by the guts that has been taken to decorate this village home. 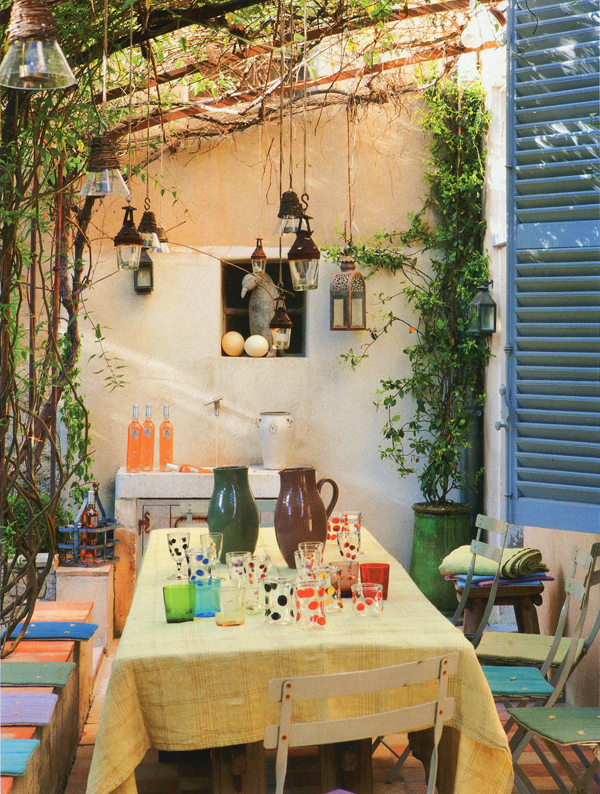 The almost overloaded use of color feels surprisingly comfortable and looking at the decorations there's just so much to love! 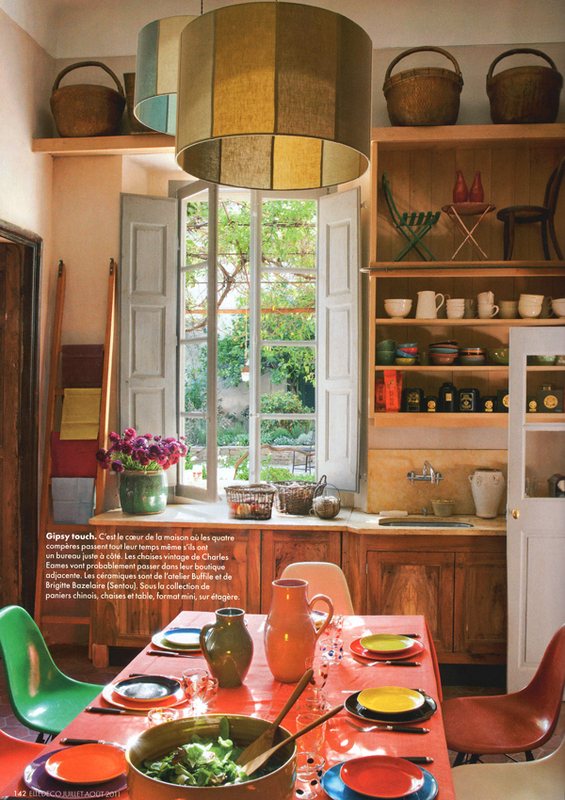 Notice the miniature table and chairs on the kitchen shelve, the upside down assembled shades, the vintage lifebuoys or the lanterns in the tree outside. It all looks so cheerful. I believe its the work from home owner Marjolaine Leray and Sitor Senghor. Would you agree with me this is a true piece of art? 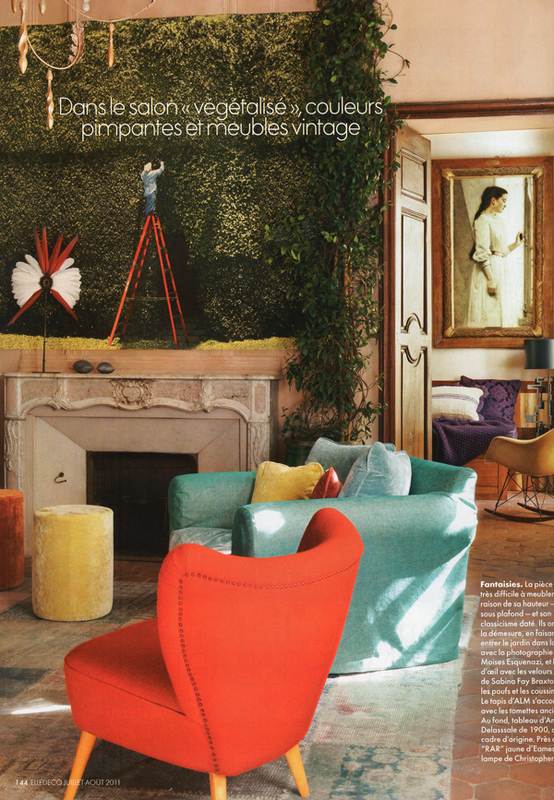 Some people just have a gift when it comes to decorating with colours. This is not my style but I love it anyway, feels very homey. It's so lovely and happy, I just adore this! 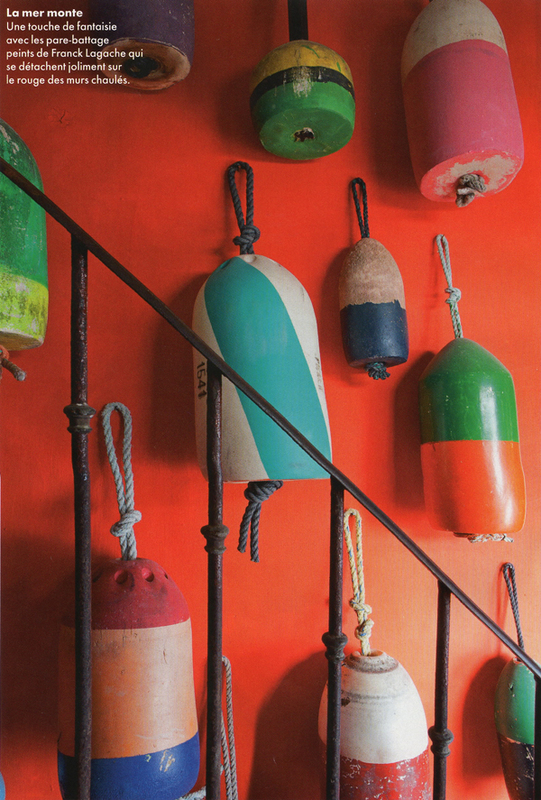 And that multi-color buoy wall is an inspiration! I love that white window! I agree with you. It is a piece of art for living. I also love the detail of the mini table and chairs on the shelves. beautiful! wow, that's a ton of colour, but i think it works because it's done big bold blocks and placed against a few areas to rest the eyes.